Living in New Zealand makes travelling to Australia very easy and not too expensive. One of the best ways to use a long weekend and to get some winter sun is to head to Queensland. We decided to do just that in July 2018. 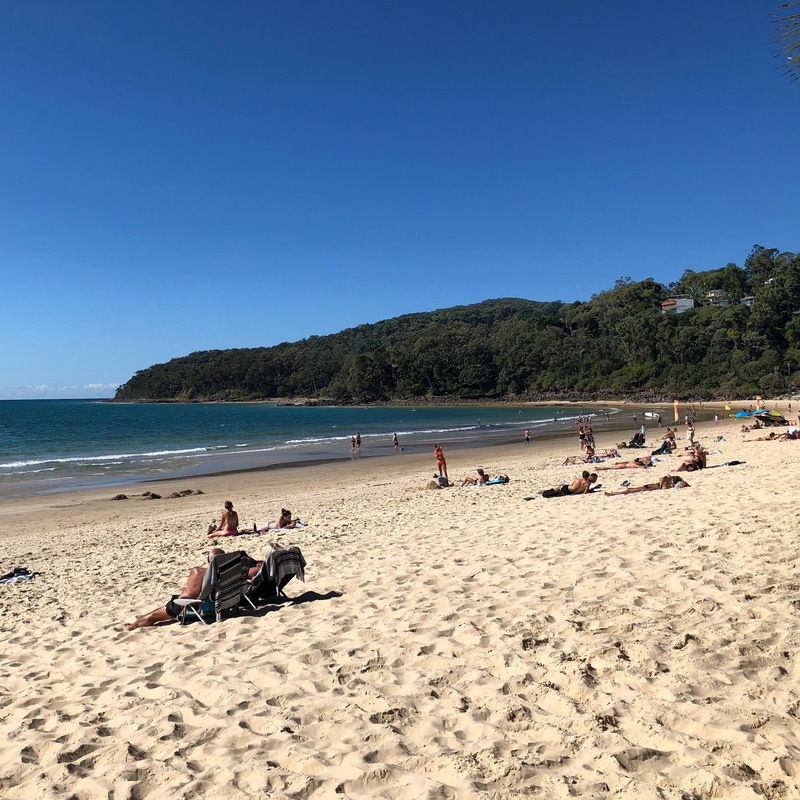 A lot of New Zealanders like going to the Gold Coast for the shopping and the theme parks but we were looking for somewhere a little bit quieter so we headed straight to Noosa on the Sunshine Coast, just north of Brisbane. Noosa was once a sleepy beach side town which has now turned into an upmarket tourist destination with lots to do. Due to the high prices of Noosa we decided to stay in Sunshine Beach in a self contained apartment – Andari Apartments. It was very reasonable despite our late booking and was just across the road from the beach. Sunshine Beach is only a 10min drive from Noosa and Noosa Heads and there are also frequent buses. Sunshine Beach has a good Surf Lifesavers Club where you can get cheap drinks and food as well as a few other more upmarket restaurants. It is also close to the Noosa township where there are good supermarkets and bottle shops to get supplies. The Eumundi Markets are quite well known in the region and are popular with locals and tourists. They are on every Wednesday and Saturday mornings. We enjoyed our quick visit and enjoyed buying some home baking and listening to the live music. The Noosa Heads Coastal Walk is a 10km walk around the headlands of Noosa. It takes about 4hrs and if you are lucky you might spot a Koala or 2 sleeping in the Gum Trees. We packed our swimsuits and a picnic and enjoyed the many beaches along the way. Make sure you bring plenty of water and sunscreen. Although we didn’t visit Australia Zoo during our latest trip, I visited back in 2012. This is the zoo that Steve Erwin set up to help local wildlife. His family have done a great job at continuing his legacy and it is still very popular. It is a good place to check out Australia famous native animals. I visited Fraser Island back on a family holiday and have very fond memories of this amazing place. If you have a spare day, I would highly recommend a day trip or even a few nights camping, just be careful of the Dingos! Sadly if you are only visiting for a long weekend, you won’t have time to do all of these activities, mostly during our recent trip we wanted to get some winter sun and relax by the beach. Use the supermarkets – pack picnics for the beach or do your own cooking in a serviced apartment. Australia has lots of fresh fruit and this amazing salsa and corn chip brand Byron Bay Chilli Company. It was so yum, we ate it everyday. We really enjoyed our weekend away and will easily come back for another winter escape!